handpaintedyarn,com Ejido 160 to start an Incredible Custom Raglan . Unfortunately i followed the directions a little too closely, and made a snug measurement around my neck. Of course, this resulted in the neck hole being the exact size of my neck…. And smaller than my head. So I couldn’t get it on. I liked how it was progressing, though. to prevent weird color pooling, I was using two balls of yarn, and alternating them every two rows. It was looking good. so i ripped it out and started over. 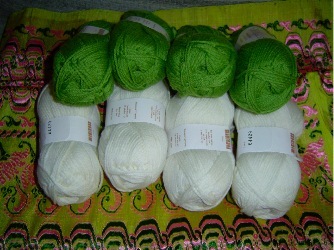 I also got my Knitpicks order that I have been waiting on for a long time…. Some merino style for Eunny’s Deep-V Argyle vest. I joined the Knit-along too. 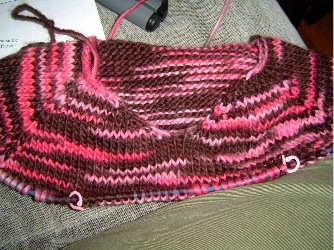 in this project I will attempt two-handed fair-isle knitting, and finish it off with some steeks. i can’t wait. 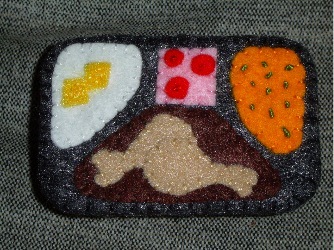 I present my altoid-tin tv-dinner. Drumsticks, Mashed potatoes, Cherry compote, and succotash.